According to a new study, there might be such a thing as gut cravings. If your gut desires chocolate, here are 10 excellent recipes to try. 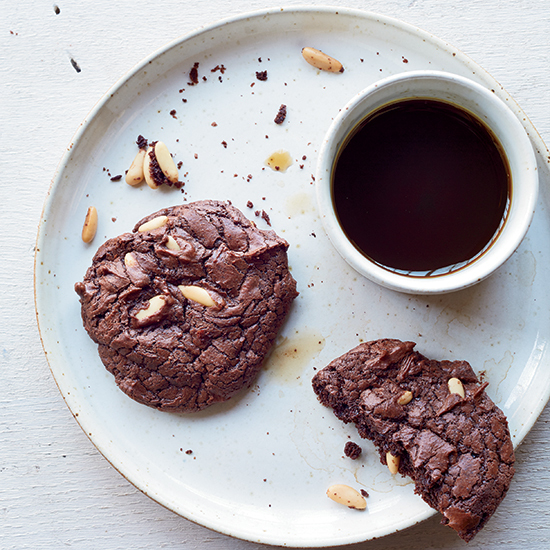 These chewy, fudgy cookies can be made up to three days in advance. How do you upgrade the classic brownie? Use four types of chocolate instead of one. This dense, ganache–like dark chocolate dessert, cleverly garnished with crunchy cornflakes, will satisfy any chocolate craving. Tequila, Mexican chocolate and pepitas give this easy cake its Mexican flair. Chestnuts add sophisticated flavor to this luscious mousse. This addictive chocolate crumble is fantastic on ice cream or on its own. Nabisco chocolate wafers, cream cheese and chocolate syrup are all you need to make this “cheater’s” cheesecake. Rich chocolate-caramel frosting and flaky coconut top these incredible cupcakes. This silky pie features a quick chocolate crust. It doesn’t get better than this old-fashioned American chocolate layer cake.